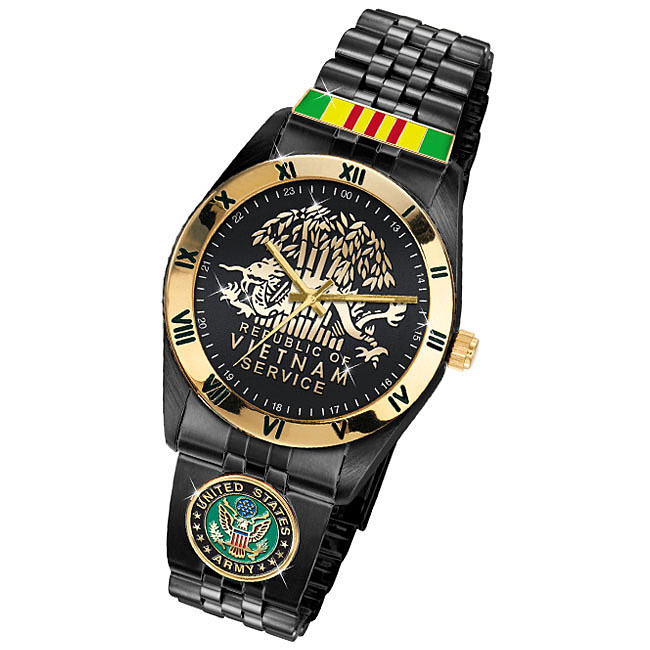 We proudly present our Official Veterans Military Watches to honor your service to our Country. The unique watch dials are replicas of the WWII, Korean War Service, Vietnam, Desert Storm, Afghanistan and Iraq Service Medals and are a powerful reminder of the bravery and sacrifice made by so many during these historic conflicts. The exclusive watch bands feature the Service Ribbon above the War Medal dial. 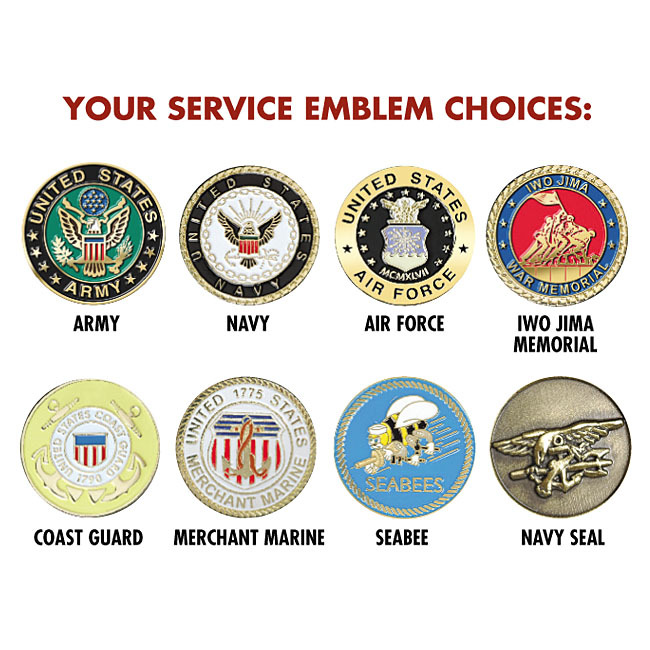 Your Service Branch emblem in full enameled colors, is set in the band below the dial. The caseback will be engraved with your initials and years served. 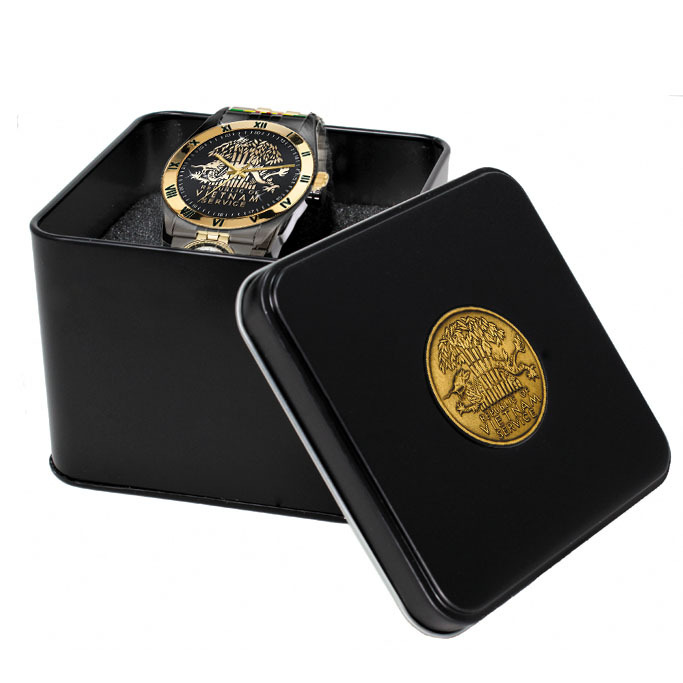 Watch case and adjustable stainless steel bracelet combines a rugged yet elegant Ion Plated black finish with a golden bezel to showcase your Service Emblems. Watch features include a precision quartz movement for accuracy within seconds per month, water-resistant case and adjustable bracelet. Priced at just $125*, your satisfaction is guaranteed or you may return your watch within 30 days for replacement or refund. So order yours today!